Kidderminster extended their unbeaten start to the season to seven games by seeing off Gateshead at Aggborough. Jamie Grimes and Kevin Nicholson both went close for Harriers before half-time but Craig Reid fired in from close range within 10 seconds of the restart. And three minutes later Kidderminster doubled their lead when Nathan Blissett headed in from Marvin Johnson's cross. 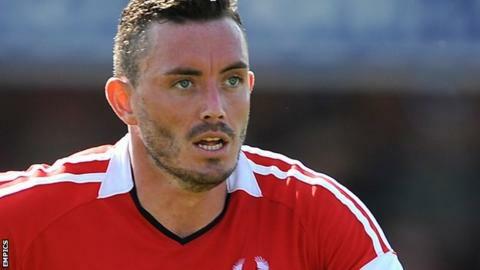 Jon Shaw's header reduced the deficit but Harriers held on to move above Gateshead into fourth place. Match ends, Kidderminster Harriers 2, Gateshead 1. Second Half ends, Kidderminster Harriers 2, Gateshead 1. Substitution, Gateshead. Lewis Guy replaces Phillip Turnbull. Attempt blocked. Reece Styche (Kidderminster Harriers) right footed shot from outside the box is blocked. Andrai Jones (Gateshead) is shown the yellow card for a bad foul. Foul by Andrai Jones (Gateshead). Daniel Lewis (Kidderminster Harriers) wins a free kick. Attempt missed. JJ O'Donnell (Gateshead) right footed shot from outside the box misses to the right. Attempt missed. Marvin Johnson (Kidderminster Harriers) left footed shot from outside the box misses to the right. Goal! Kidderminster Harriers 2, Gateshead 1. Jon Shaw (Gateshead) header from the left side of the six yard box to the top left corner. Assisted by Andrai Jones with a cross. Hand ball by Phillip Turnbull (Gateshead). Attempt missed. Nathan Blissett (Kidderminster Harriers) right footed shot from outside the box is too high. Goal! Kidderminster Harriers 2, Gateshead 0. Nathan Blissett (Kidderminster Harriers) header from the right side of the box to the bottom left corner. Assisted by Marvin Johnson with a cross.